Beautifully simple enterprise HR solutions may be our focus, but it’s not our only passion. We’re passionate about giving, it’s a significant part of who we are and what we do. We support local and global organisations that make a positive impact on our local and global communities, and environmental initiatives that help sustain our planet. We offer special terms and pricing for non-profit and charitable organisations. 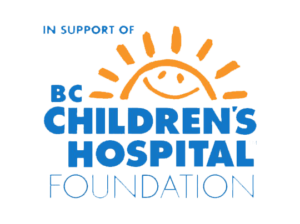 BC Children’s Hospital Foundation (BCCHF) is a non-profit registered charity that raises money to support the British Columbia’s Children’s Hospital. The Foundation works with communities to raise funds for essentials including: life-saving equipment, research into childhood diseases, a wide range of medical staff and community child health education programs. Since 1982, BC Children’s Hospital Foundation has worked with children, families, caregivers and hundreds of thousands of British Columbians to give BC Children’s Hospital and the Family Research Institute the necessary resources. Wildlife Conservation Network. WCN’s mission is to protect endangered species and preserve their natural habitats by supporting entrepreneurial conservationists who pursue innovative strategies for people and wildlife to co-exist and thrive. WCN saves endangered species in 24 countries around the world by supporting independent wildlife conservationists. Oxfam Canada. Oxfam Canada is part of a global movement for change made up of 20 Oxfam affiliate organizations working in more than 90 countries to mobilize the power of people against poverty. Pencil of Promise. Pencils of Promise is a for-purpose (as opposed to a non-profit) organization that builds schools, trains teachers, and funds scholarships. It started when founder Adam Braun asked a boy on the streets in India what he wanted most. His answer was “a pencil.” Adam went on to give out thousands of pens and pencils to children in over fifty countries over the next five years, before starting Pencils of Promise. Pencil of Promise is different from most charities in that it mixes a humanitarian purpose with a smart business approach to ensure there’s a great ROI on every dollar spent. It funds its operations through financial support from private donors, events, and companies. This means that 100% of the money donated to Pencils of Promise goes directly towards helping the children in the countries the charity works in. The charity also stays behind once the schools it builds are finished, to ensure that everything keeps running smoothly. The charity works with local communities to come up with curriculum and programs.